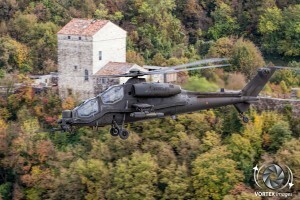 In Northern Italy, in the village of Casarsa della Delizia on the foothills of the Alps, lies the Aviazione dell’Esercito (Italian Army Aviation Wing) airfield “Francesco Baracca”, named after the famous Italian WW1 ace,. Based at this airfield is the 5th Reggimento Aviazione dell’Esercito, housing 27 Gruppo , 49 Gruppo and their support group. Founded on 1st January 1976, the 5th Reggimento Aviazione dell’Esercito “Rigel” (5th Army Aviation Regiment) was the result of a merger between the 5th General Purpose Helicopter Group and the 5th Light Aircraft Unit. 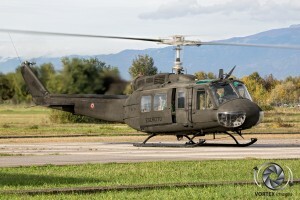 Initially the 5th Regiment consisted of two Gruppos (Squadrons), the 55th “Dragone”, which was equipped with AB-204s and AB-205s, and the 25th “Cigno”, which was equipped with AB-206s and L-19E “Bird Dog” aircraft. In 1985 the 49th “Capricorno” Gruppo joined the 5th Regiment. 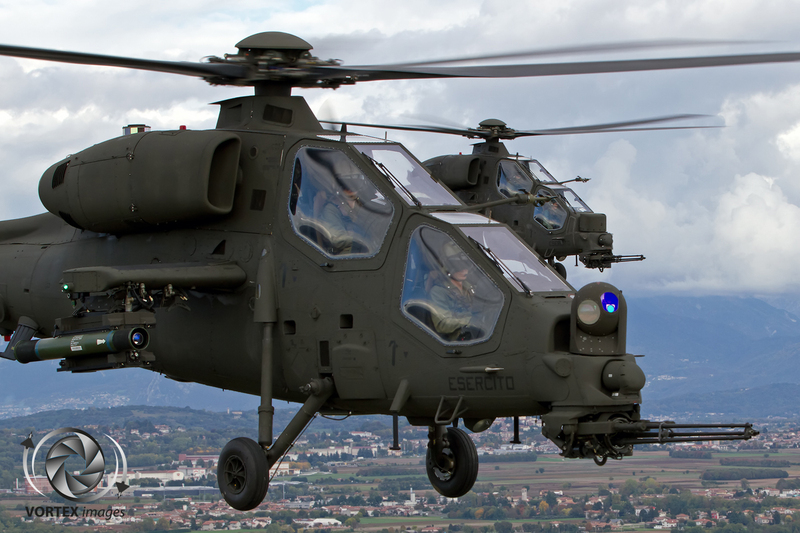 Initially 49 Gruppo was equipped with AB-206 helicopters but these were to be replaced in 1992 when the AH-129 Mangusta entered service. 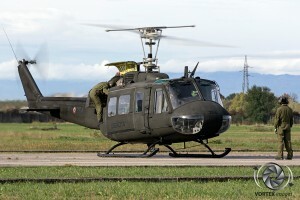 After a extensive reorganization, 55 Gruppo and 25 Gruppo were merged and named 27 “Mecurio ”, leaving the 5th Regiment with only two squadrons again. 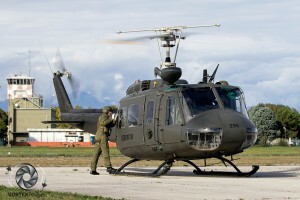 27th Gruppo Sqd. 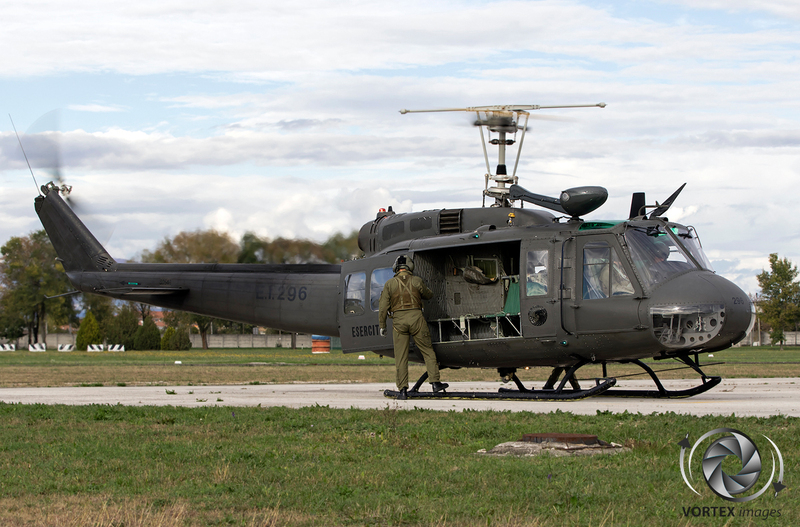 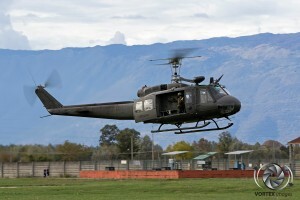 AVES “Mercurio” currently operates the UH-205A Huey. 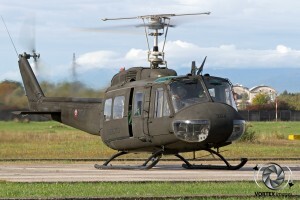 The UH-205A is the license built version of the Bell UH-1H “ Iroquois” which is more widely known as the “Huey”. 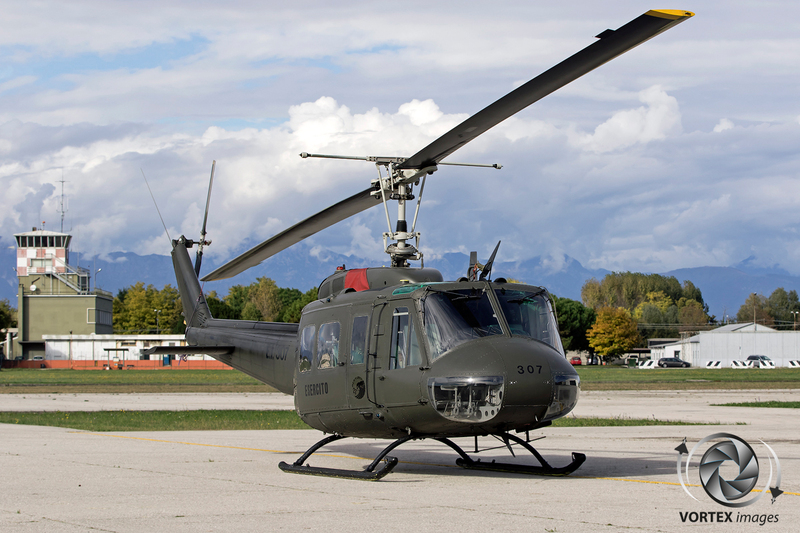 The Huey is a single engine helicopter that is used in the medivac, logistical and tactical role by the Italian Army. 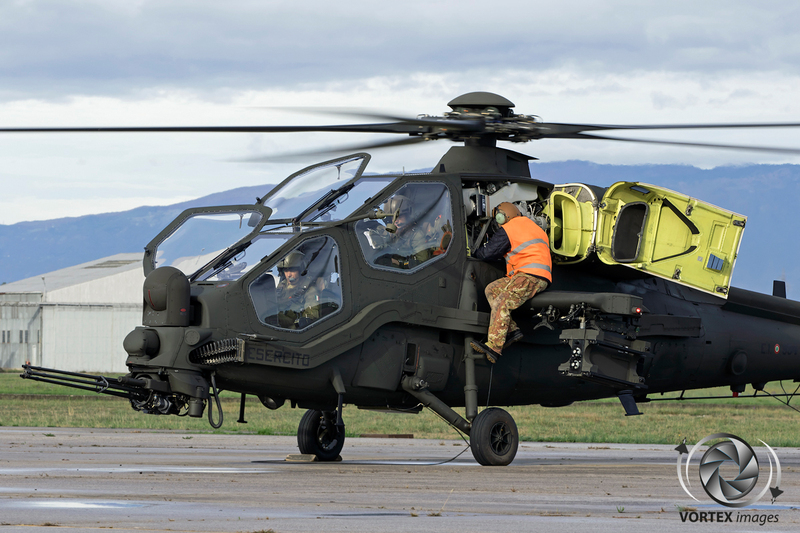 In the logistical role it is capable of carrying 1000kgs of cargo inside the helicopter, and externally it is capable of carrying sling loads of up to 1800kgs. 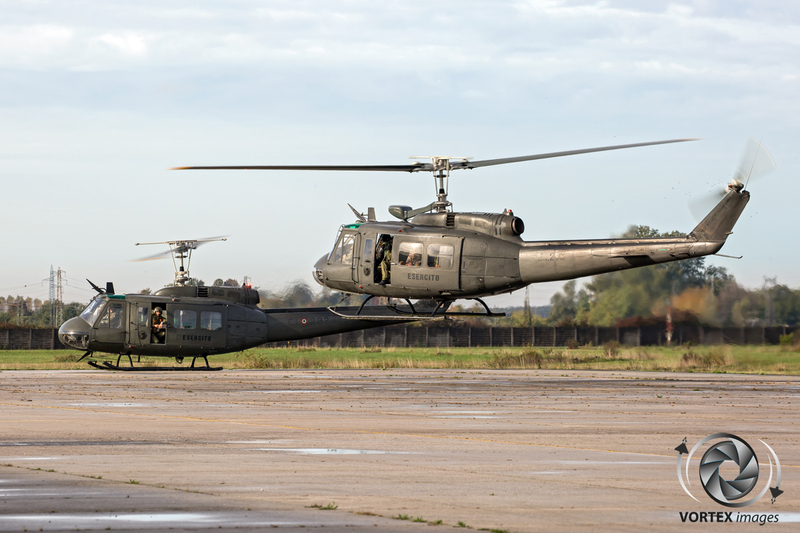 When the Huey is used in the tactical role it can be equipped with the M23 weapon system, mounted on the sides of the helicopter. 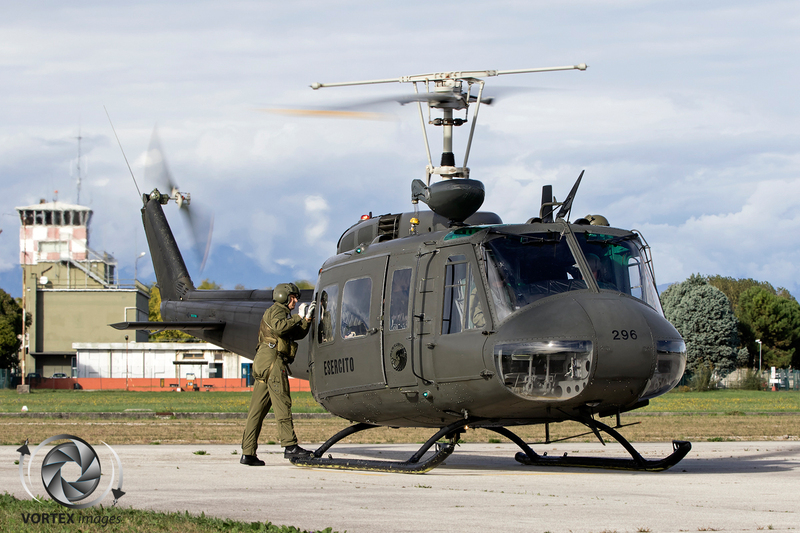 This system allows the UH-205A to be armed with a 70mm rocket launcher and MG 42/59 7.62mm machine gun on each side. 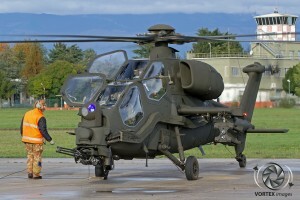 In this role the standard crew of 2 pilots and a crew chief/Gunner is supplemented by a second gunner in order man both side mounted machine guns, and at the same time it can also carry a fully equipped weapons team. 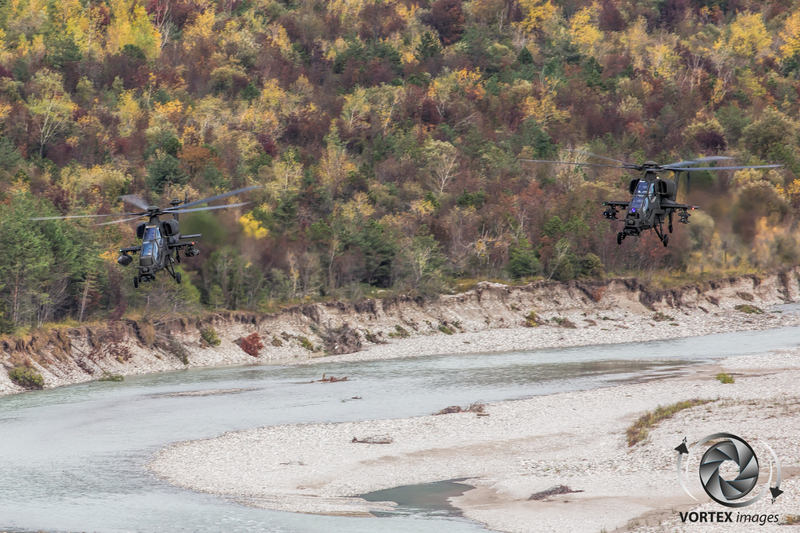 These teams are often deployed to secure landing sites in order to make it safe for the medevac helicopter to land. In the future all of these tasks will be transferred to its successor the UH-90A. 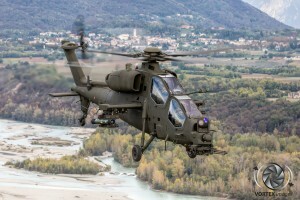 According to Lt.Col Salvadori, Commander of the 27th Gruppo, no specific time frame has been set for when 27th Gruppo will be re-equipped with the UH-90A (as the NH-90 is known within the Italian armed forces), which means that the good old Huey will most likely need to soldier on a few more years with the unit. 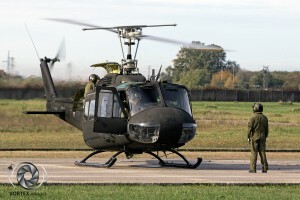 The second unit based at Casarsa della Delizia is 49th Gruppo Sqd. 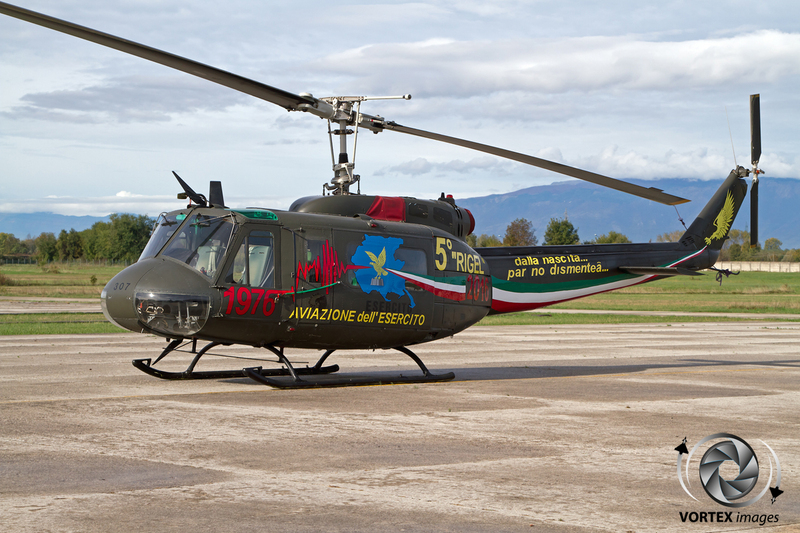 AVES “Capricorno”. 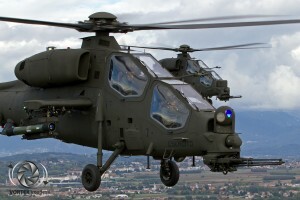 This unit flies the AH-129 Mangusta in both the C and D variants. 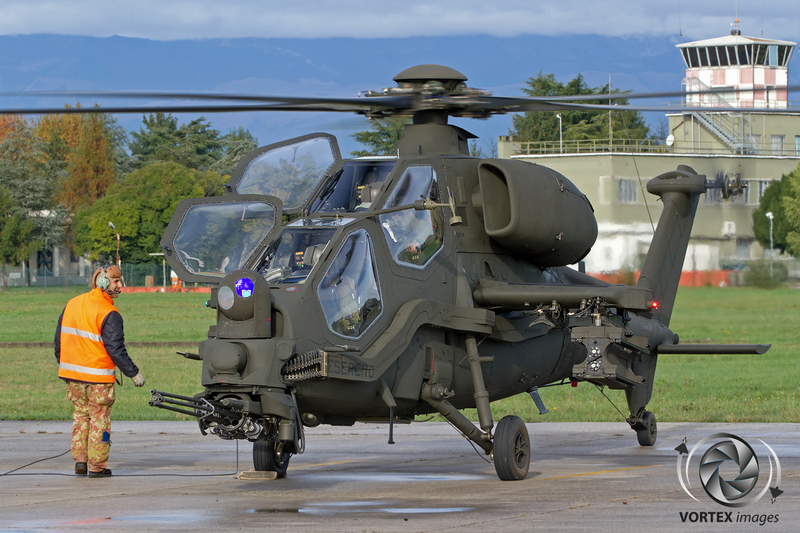 The Mangusta is an indigenously designed helicopter where the pilot and co-pilot/gunner are seated in a tandem configuration. 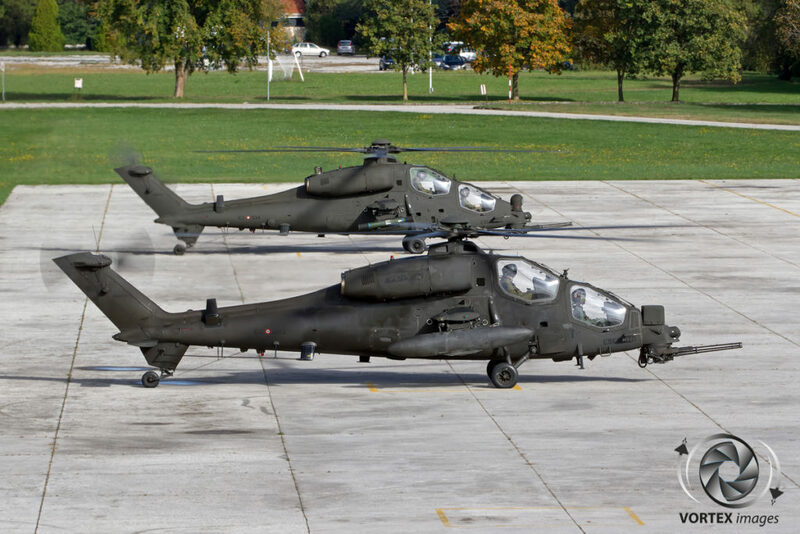 They are built by the Italian company Leonardo (better known by its former name Agusta), and are licensed built in Turkey by Turkish Aircraft Industries as the T-129. 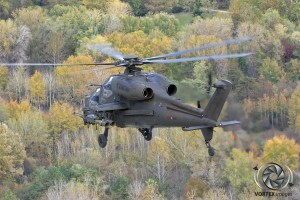 The T-129 differs from the AH-129 mainly in its engines and weapon systems. The AH-129 was the first attack helicopter completely designed and manufactured in Europe. Compared to other attack helicopters, such as the AH-64 Apache and Mi-24 Hind, the AH-129 is much smaller, which makes it much harder to detect visually and shoot at than its bigger American and Russian brothers. 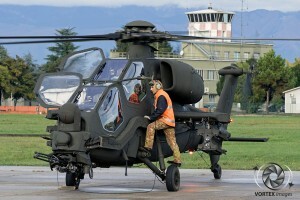 Lt.Col Salvadori, Commander of 27 Gruppo, explains “We often hear from our NATO colleagues that we are hardly visible. 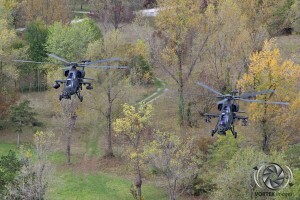 We are fully aware of this feature and make good use of it during combat. 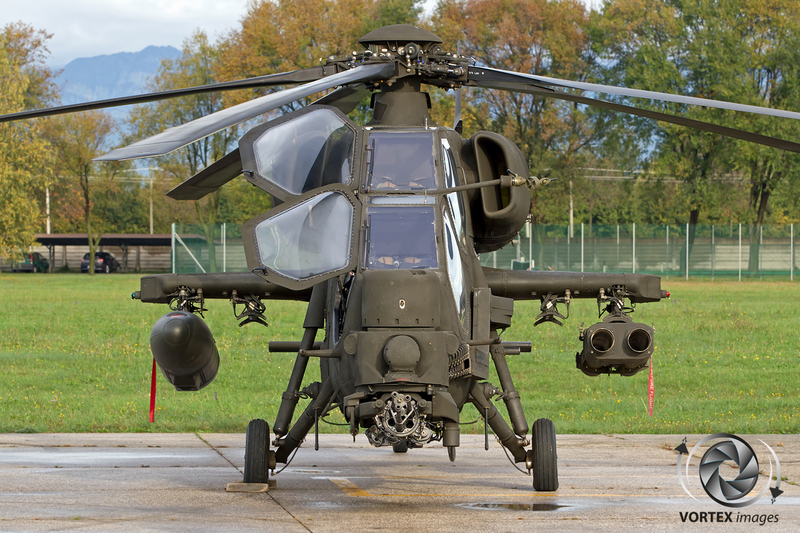 Compared to the American built attack helicopters we are less armored but our smaller size makes it much more difficult to shoot at us. 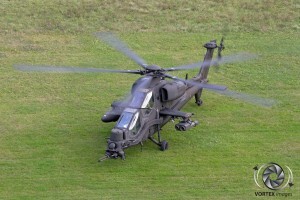 Also knowing that we aren’t heavily armored makes us adopt other tactics than those heavily armed helicopters”. 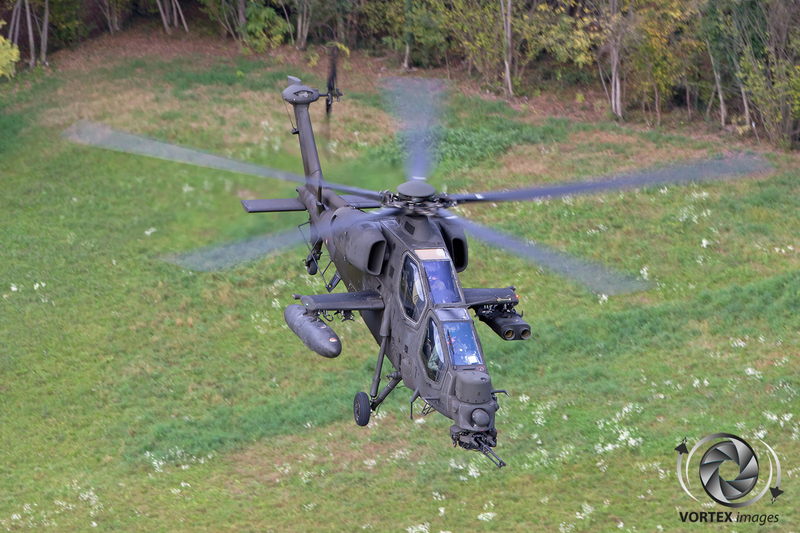 The AH-129C, the older version, is equipped with the HeliTOW system and the TOW missiles. In the upgraded AH-129D model the HeliTOW system is replaced by the Rafael Advanced Defense Systems Toplite III sight and the TOW missiles by the Spike-ER, a fourth-generation anti-tank missile which greatly enhances the capabilities of the helicopter. The other main differences between the C and D models are the cockpit (The glass cockpit of the AH-129D compared to the analog cockpit of the AH-129C), and the weapon targeting system (FLIR like shaped turret on the AH-129D versus the bulky shaped turret of the AH-129C). 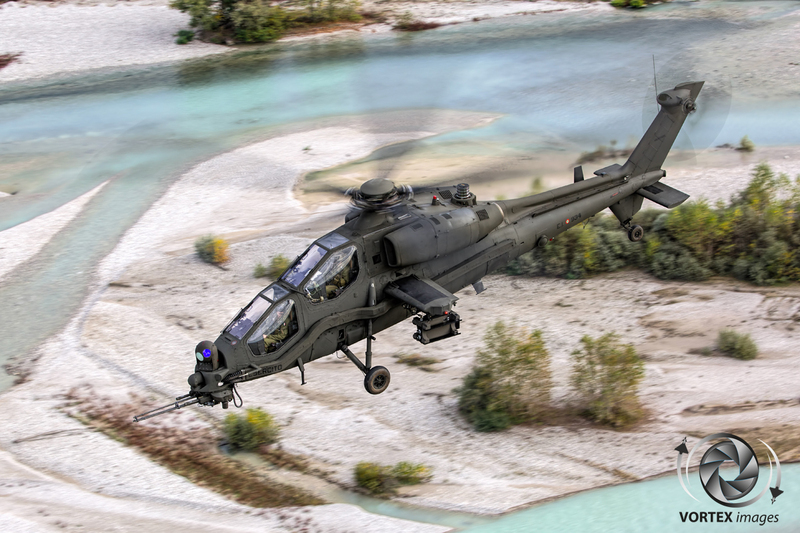 This improved targeting system can slave the turret to where the pilot is looking, allowing for much easier and faster target identification. 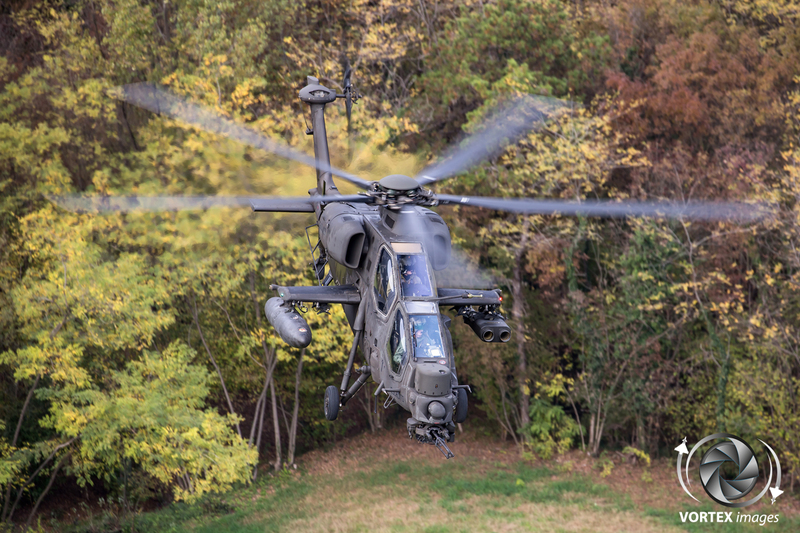 All of the AH-129Cs are to be upgraded to the AH-129D standard, making this nimble helicopter ready for the future. 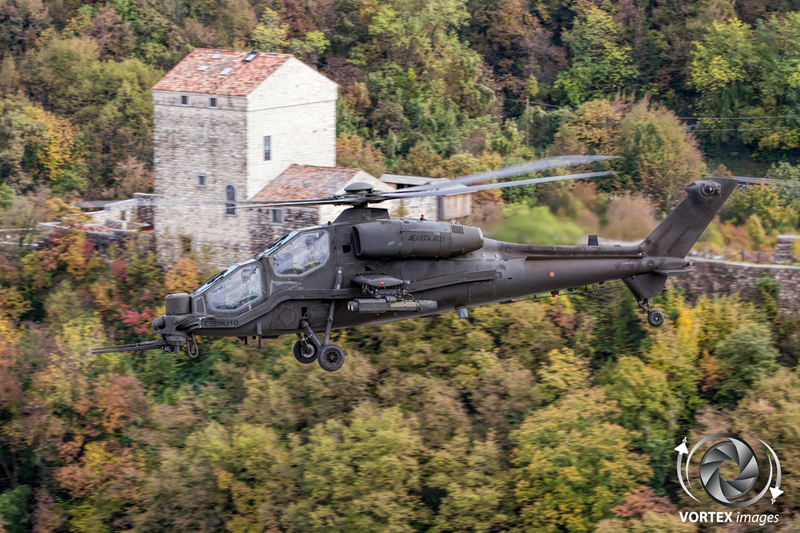 After their training to become an army pilot, and their selection for the Mangusta, the pilots transfer to Casarsa della Delizia to train on the specific Mangusta systems. To assist in this training, a simulator was built where the pilots can be trained to become capable of performing the role of gunner. 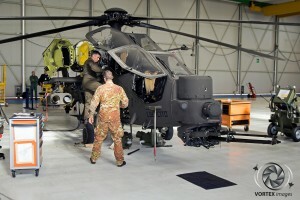 Although not a full motion simulator, the 3D screen does provide the trainees with the sensation of flight. 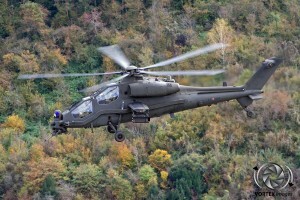 Even the experienced pilots must train in the simulator from time to time to remain fully qualified, and it is much cheaper to fire a missile in the simulator then it is real life. 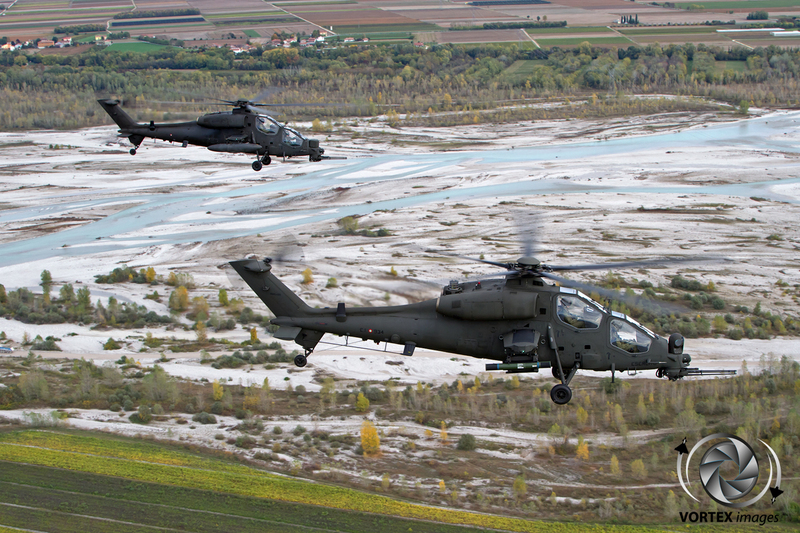 Pilots on the Mangusta are trained to operate from both seats, as the helicopter can be flown from either position. 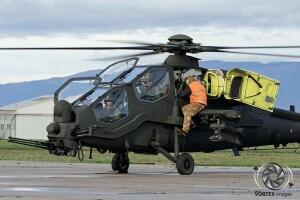 However this is normally done from the back, as the front seat is the only position from which the targeting systems can be operated, and the missiles can be launched. 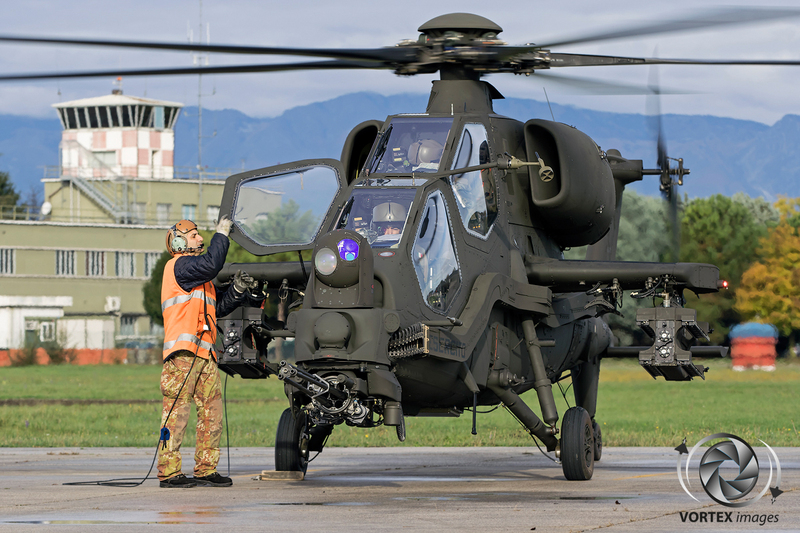 Most of the maintenance on the helicopters of both Gruppos is done on base by support group “WOLF” who are tasked to logistically and technically support the two flying units on base. 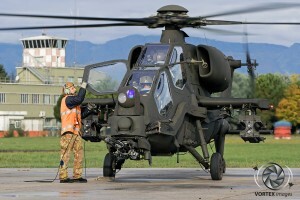 This comprises of both the smaller inspections and scheduled line maintenance. 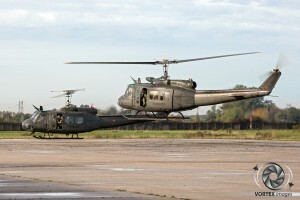 Especially for these tasks one of the old hangars was completely updated and brought to the current safety and working standards. For the smaller maintenance items that occur after every flight the helicopters are serviced on the flight line or in one of the hangars where they shelter each night. 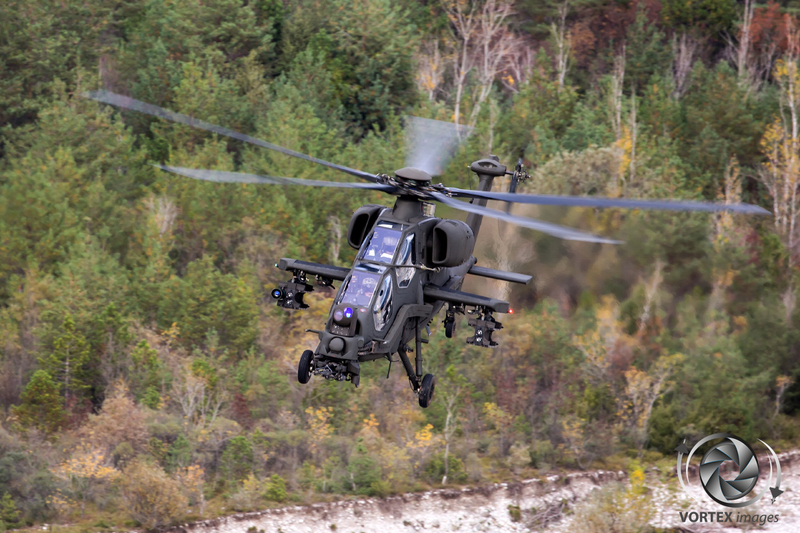 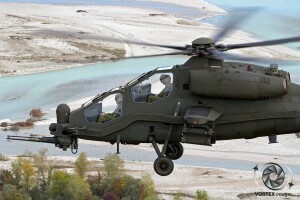 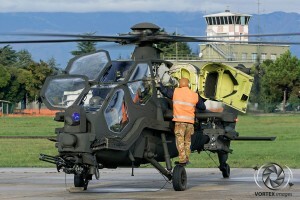 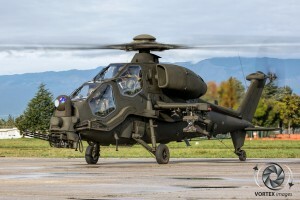 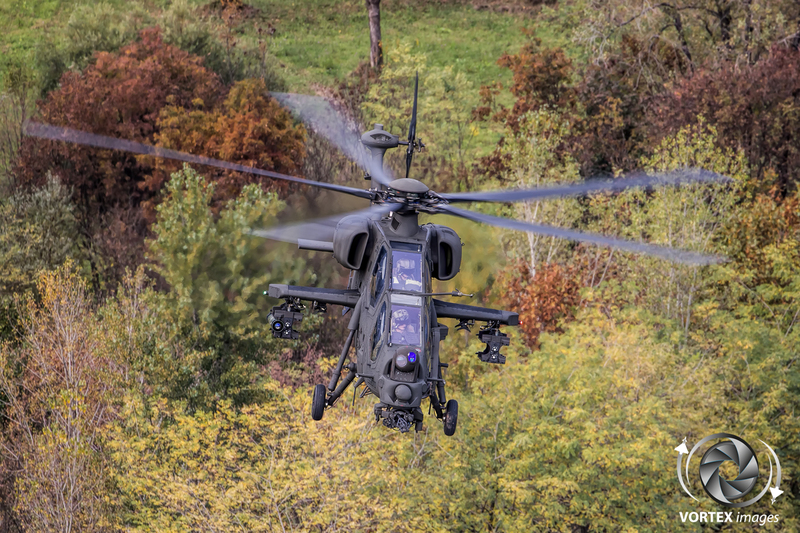 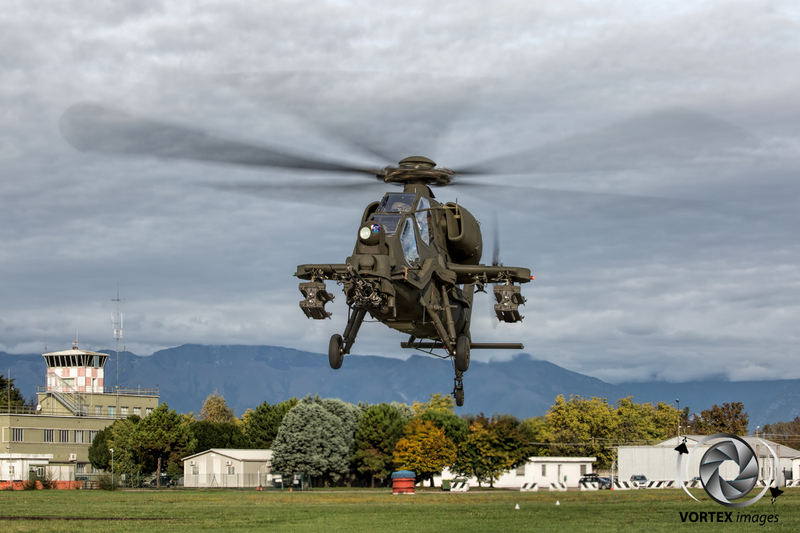 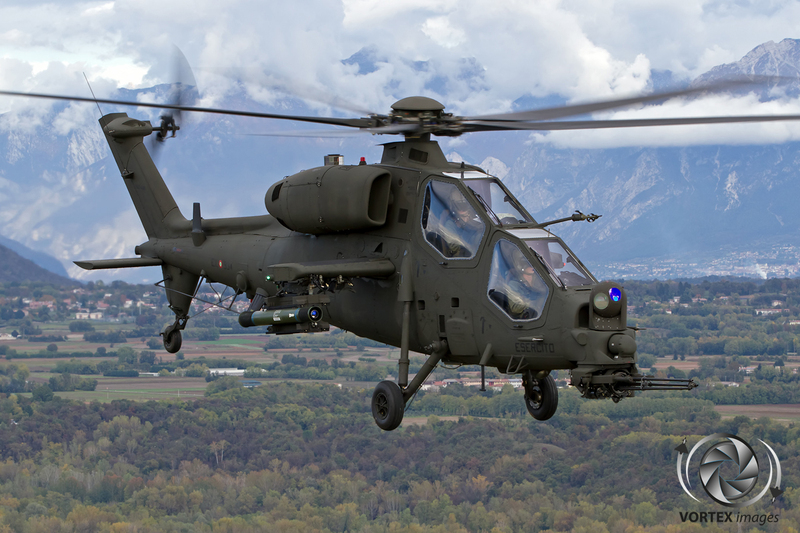 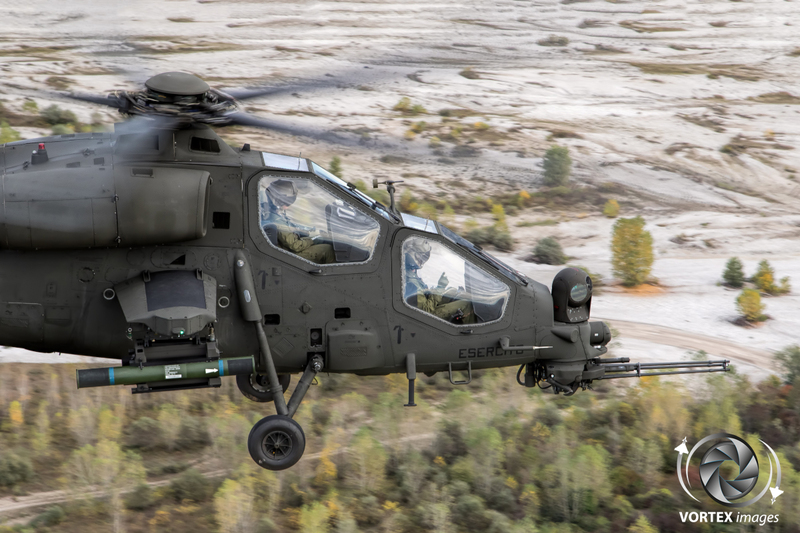 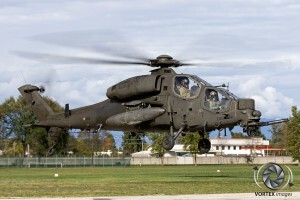 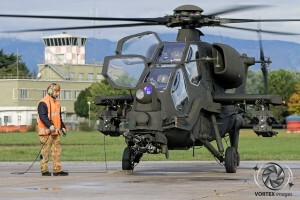 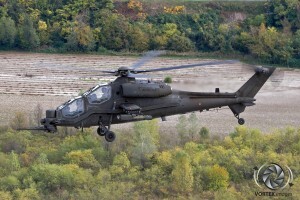 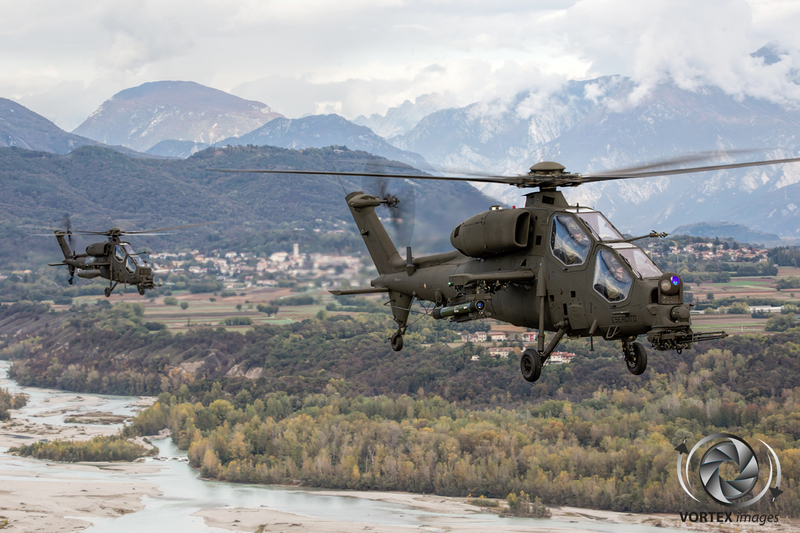 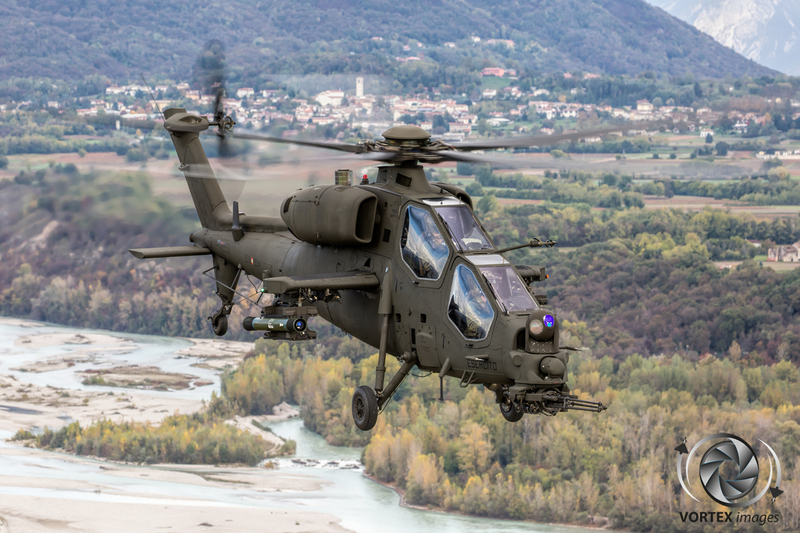 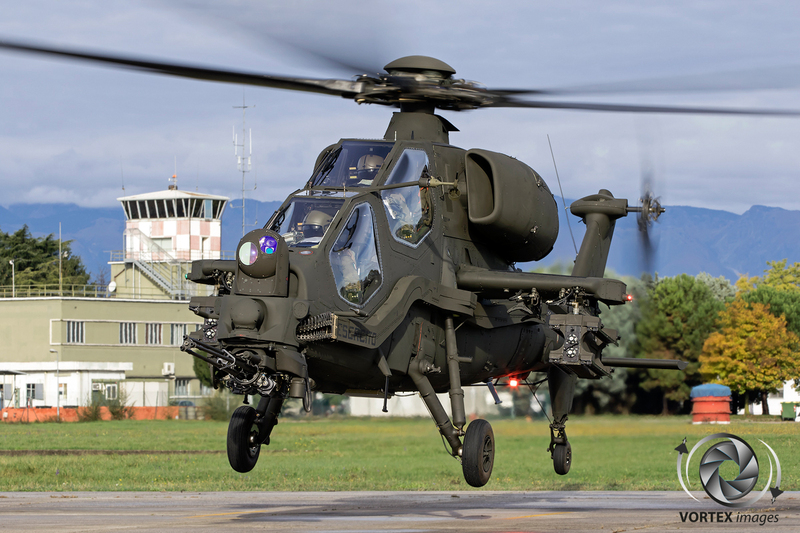 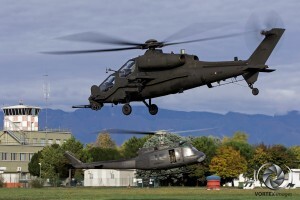 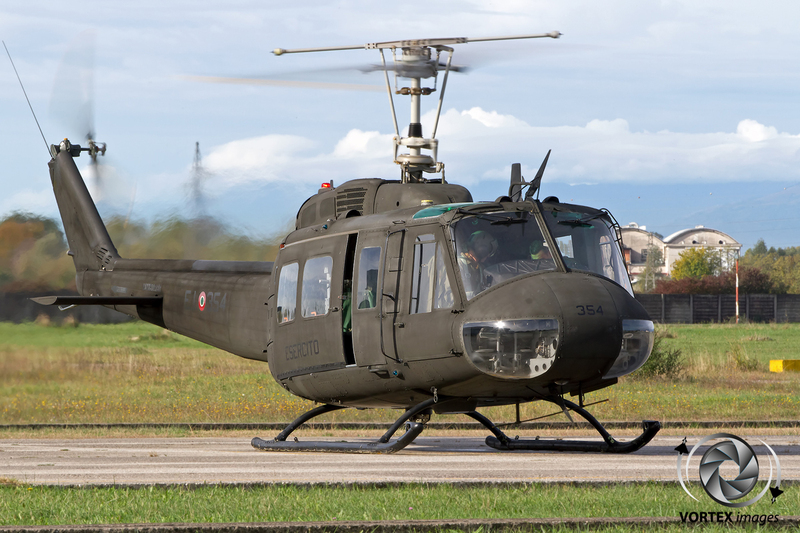 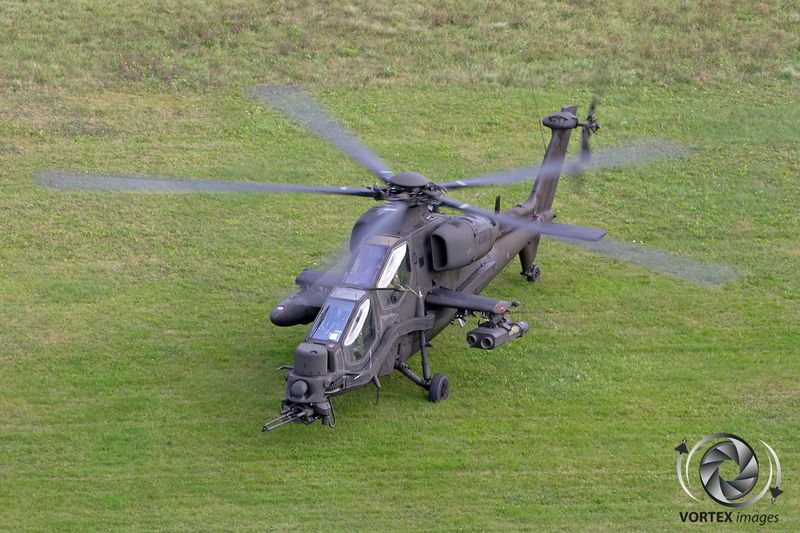 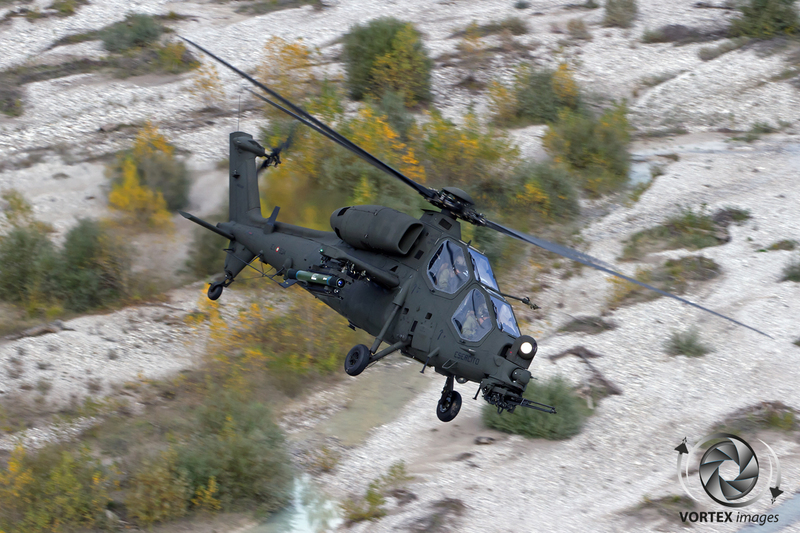 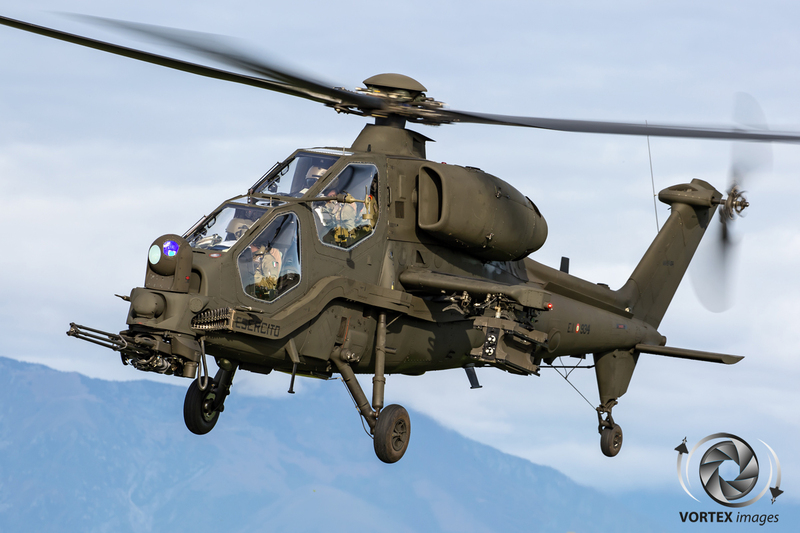 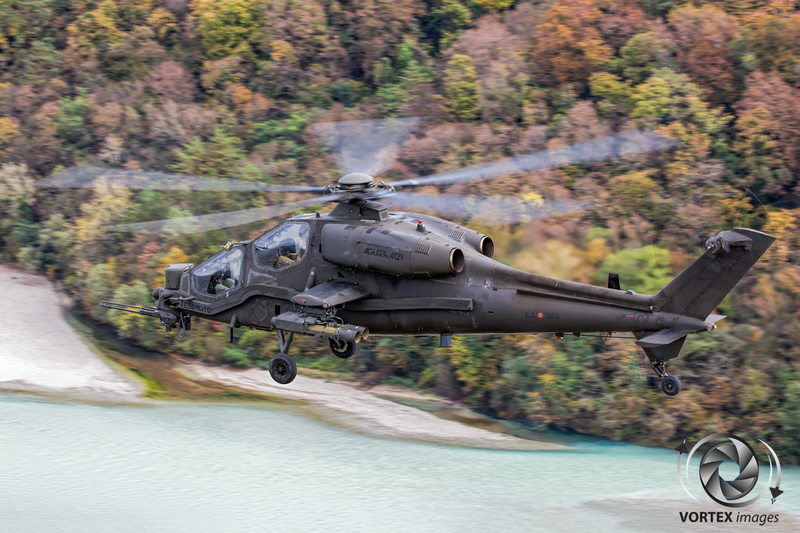 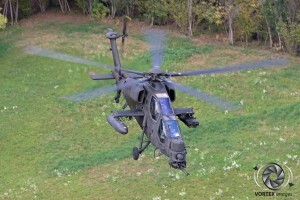 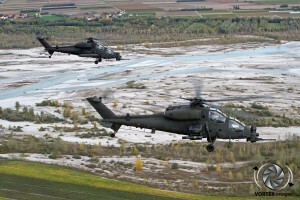 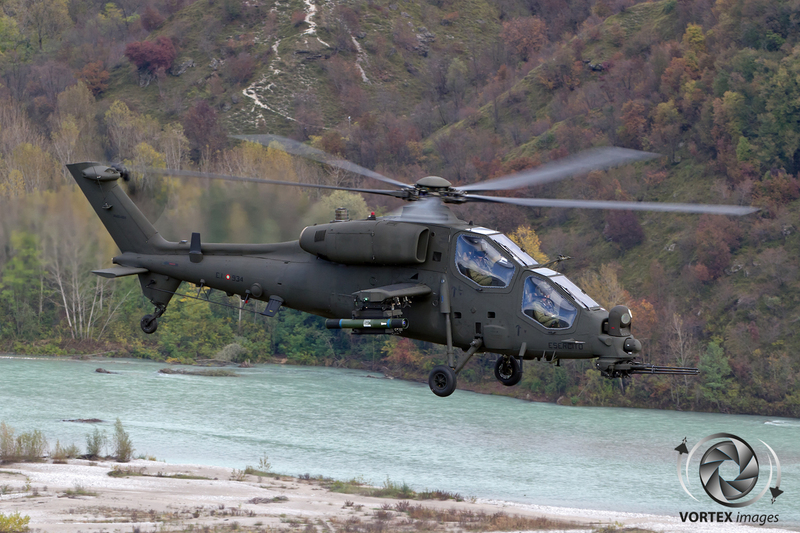 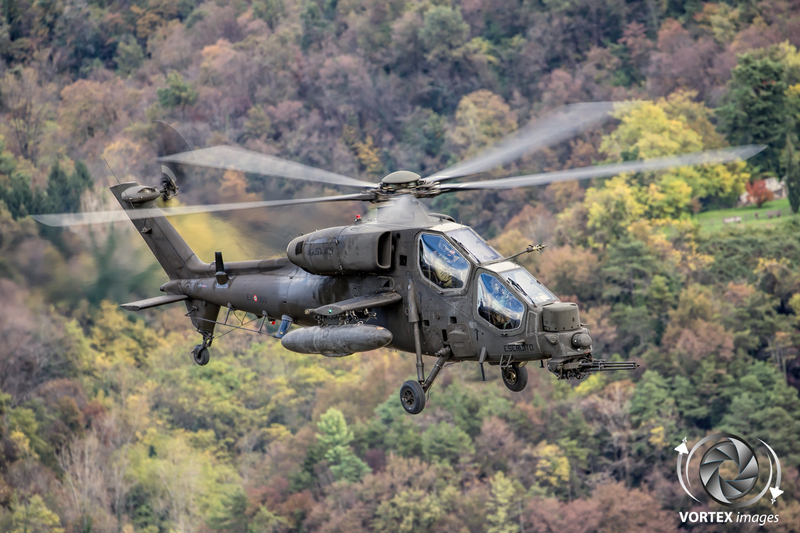 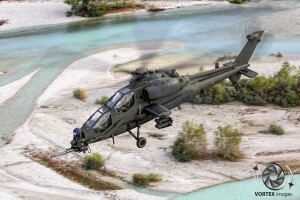 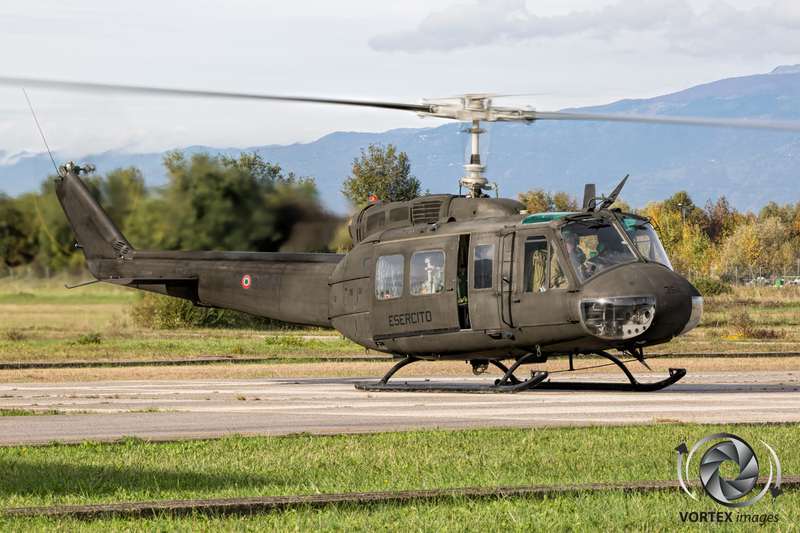 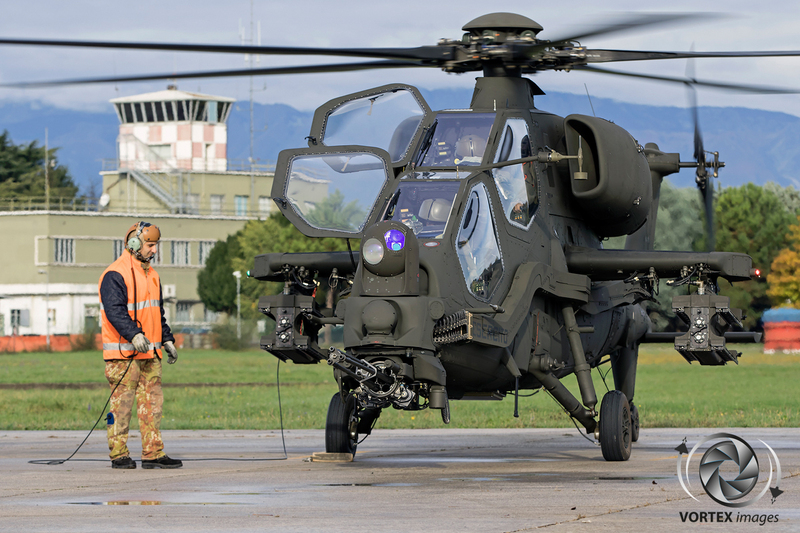 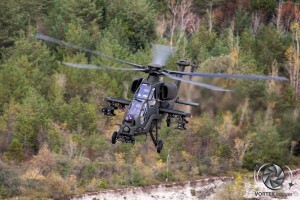 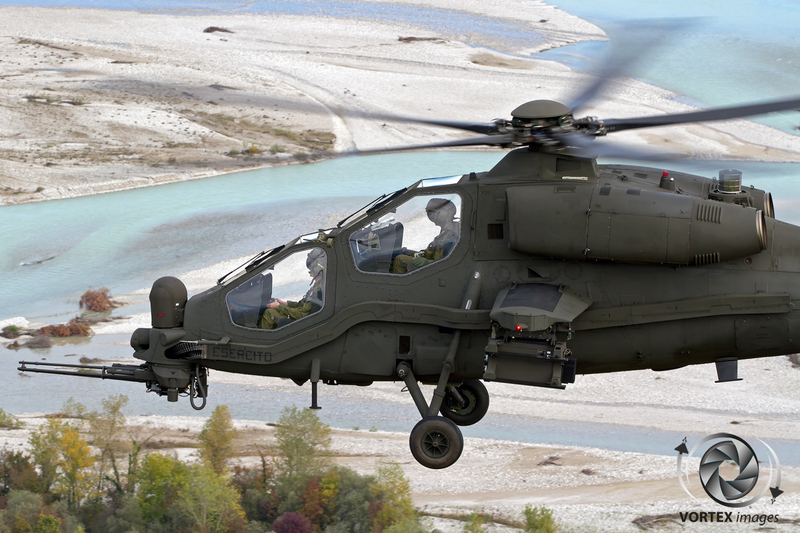 For the major overhauls and modifications the helicopters are sent to the “Second Level Technical” Italian Army aviation facility in Bergamo, which is also where the upgrade from the C to D model takes place. 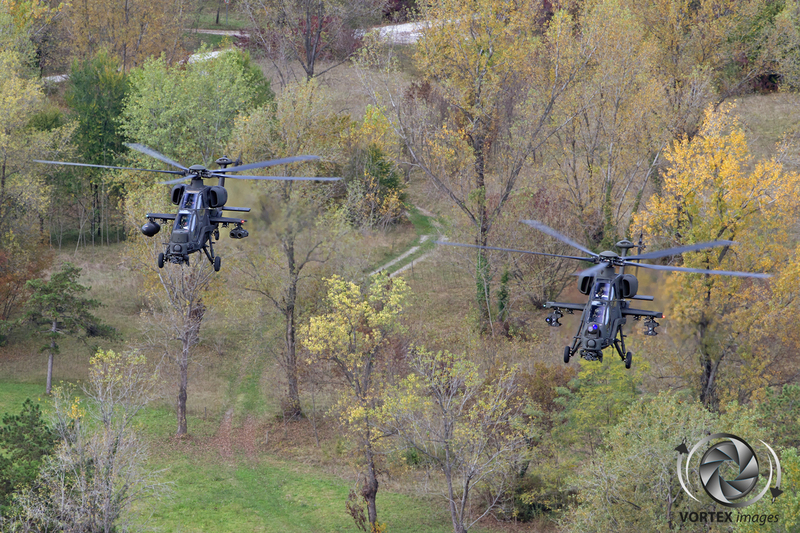 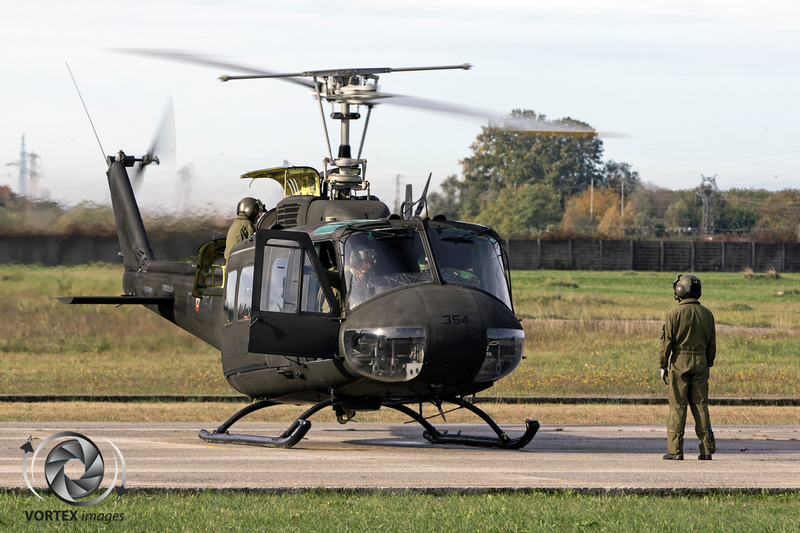 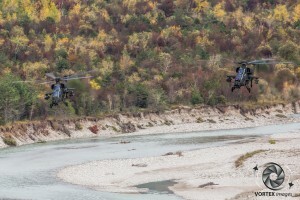 Although the UH-205As and the AH-129s are part of the same Regiment, and are both part of the ‘Friuli” Airmobile Brigade, they are never deployed together. In recent years the 5th Regiment has been heavily deployed in Afghanistan and Iraq, and currently the Italian Army has two A-129D squadrons deployed to both of those countries. 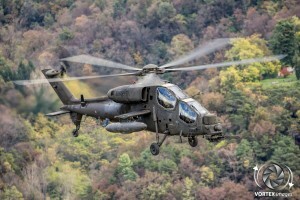 One of the more memorable action performed by 5th Regiment personnel took place in 2016 when a convoy with a group of tourists was attacked by the Taliban in a remote area 50 miles east from Herat, Afghanistan. The tourists were able to radio for help, which resulted in the Italian Army contingent in Afghanistan being asked to attempt a rescue of these people. 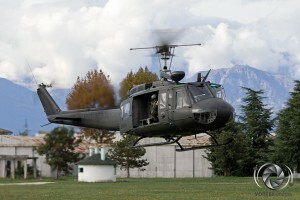 In a textbook action demonstrating the professionalism and capabilities of the Italian Army, a small task force comprised of 2 UH-90s and 2 AH-129s was created and took off from Herat, swiftly locating the convoy and rescuing all of the tourists. 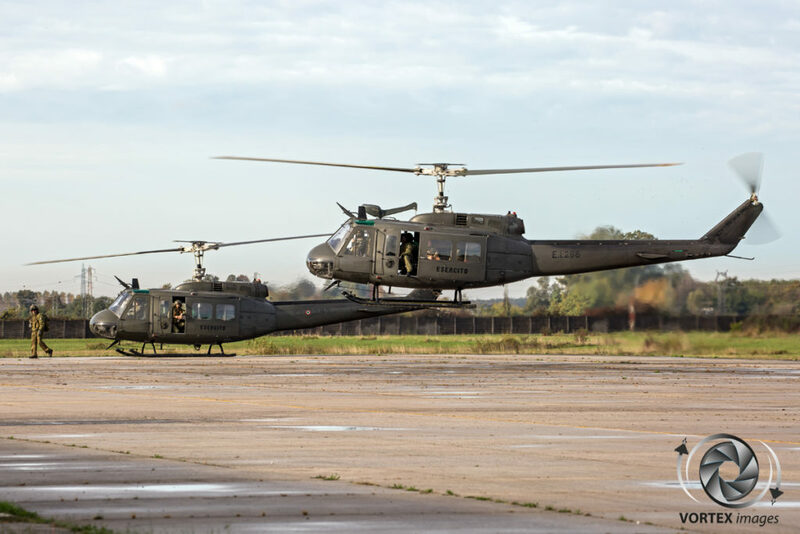 Now that the Huey will get replaced by the UH-90 and the upgrade program of the AH-129 is underway the future is looking very bright and will makes sure that the 5th Regiment is ready for the future. 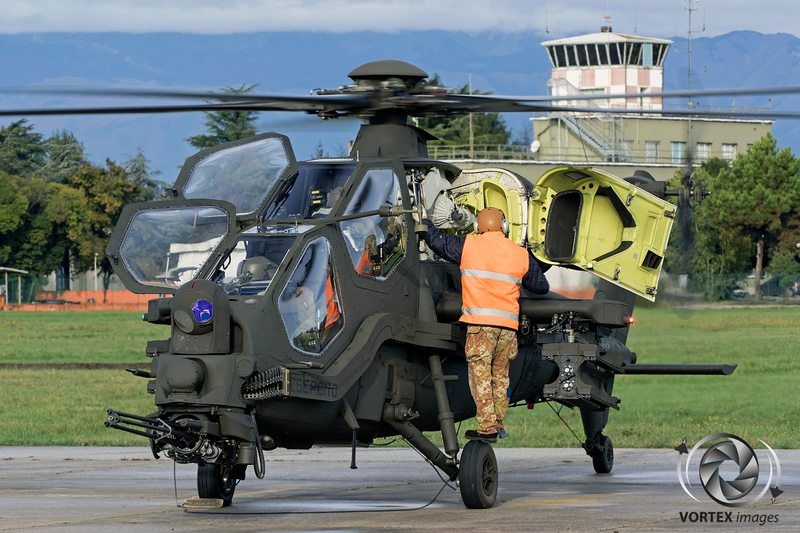 We would like to thank all the personnel of the 5th Regiment, the Italian Army HQ and the Italian MOD for their support in creating this article.